Gallery Place/Chinatown on Red/Yellow/Green Line. For group dining or other special events, please contact our Private Dining Coordinator Suellen Keller. A classic American gathering place, the District Chophouse & Brewery is conveniently located 1/2 block South of Capital One Arena. We pride ourselves in serving the city's finest handcrafted beers and succulent steaks, mouthwatering chops, tasty seafood, and over-sized salads. Once you've eaten here, you'll agree the 'DC' stands for District Chophouse. Haven't been there for 6 years. Won't return. Cold steak, undercooked vegetables, oily spinach, horribly salted pork chop. 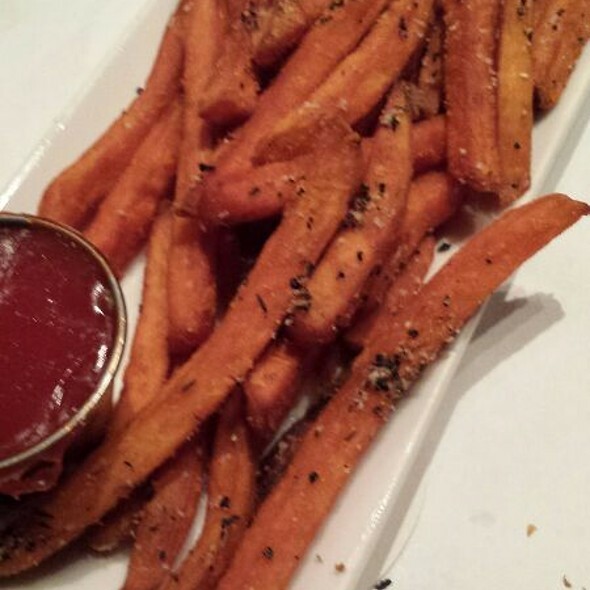 Why do restaurants feel they need to serve greasy, oily, super salted food? Not this restaurant only, but this was the worst. Great place to slow down and enjoy a meal. The staff is always courteous and patient in making sure you enjoy your experience. In town visiting our son & wanted to treat him to a nice meal & a good steak. We went there for our anniversary and had made reservations where they asked if it was a special occasion. They had a card that they placed on our table wishing us a happy anniversary and gave us a free dessert. The service was outstanding and the food was phenomenal while still being very economical- we couldn't believe we were in DC and paying under $50 for steaks. An enjoyable double date night. Cocktails, champagne, steak, fish, and salads with steak.. Dinner was enjoyed by all.. And the food was much better than our visit here a couple years ago. This time, there will be a shorter gap between visits. We had the best waiter! TJ was extremely friendly and very helpful when I was indecisive about what I wanted. Made excellent recommendations and had a great conversation. Im sorry I think I submitted more than one review. But thats ok because they all say the sane thing excellent service excellent food. The steak the spinach the citrus salmon and the crabcakes will make you cone come back.. Special thx go to the manager Terrance that made my wifes bday the best ever..
We arrived 30 min early to our open table reservation. They seated us early. The steaks are always good. My husband had a med-well done piece of prime rib. It was a hunk of meat but really too big. It could have been sliced in to 2 pieces. It was very un -appetizing. He did not eat all of it. It was crusted in pepper since it was an end piece of meat but on such a large piece of meat it was overpowering. My filet mignon was perfect. Our waitress was a bit preoocupied. I would have liked my drink refilled. We do not live in DC but EVERY time we are there we come to the District Chophouse. Whatever you select be prepared for it to be the best example of that food that you have ever eaten. The food is beyond compare. The only way to make the food better is to have a staff that knows how to present an exceptional meal. Daniel’s expertise and service made our meal a wonderful experience. The ambiance was perfect. The only time the quiet was disturbed was when the Caps scored a goal. The tv in the bar was on and everyone cheered when they won the game. Go Caps!!! Seriously, if you are in DC and you don’t eat here then you have cheated yourself in a big way. It was pretty good. Not spectacular, just good. I just didn’t think that the food or service was worth the price. The seafood salad was the best I have had. I always enjoy the homemade cornbread with honey butter that is served with all meals. Our server was also superb. I highly recommend this restaurant. Great spot for s work lunch. Just the right amount of checking-in. We had a great time celebrating our friend for her birthday! Awesome service and food. We had guests from out of town, and they were very happy and impressed. Best bone-in ribeye I’ve ever had! Food and service always top notch here!!!! Every time I come to DC I eat here. Food and service were fantastic! We’ll definitely be back next time we’re in DC. Let Capitals game of the regular season. Best steak ever. Awesome service. 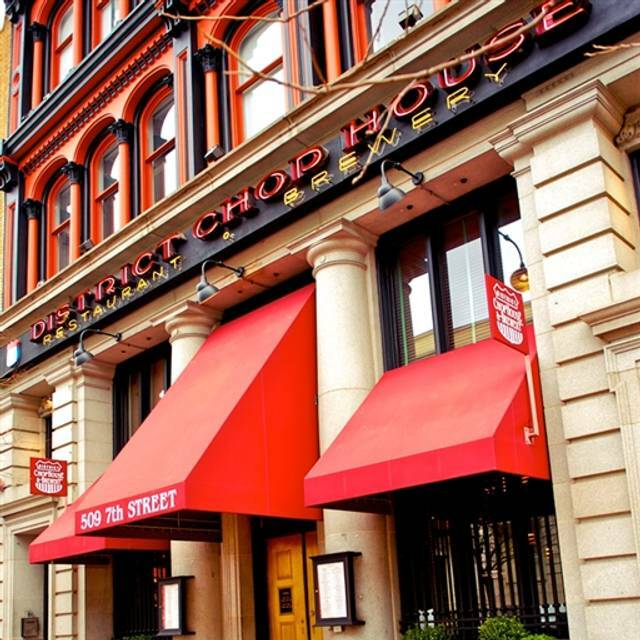 I have been to District Chophouse many times. Last night, before a Capitals game, the service was the worst I have ever experienced. Extremely slow. Took forever for our drinks to arrive. Repeated requests for butter, water, etc. The food was fine when it arrived but the poor service was a real downer. We went there for my daughters birthday before the Ballet. The host put a “Happy Birthday “ card on the table doe my daughter, which was nice. The problem was the waitress took the card & didn’t give it back. Kinda strange. She wasn’t very attentive to our table. I put my coke glass at the edge of the table ( for a refill) & she took it away without asking me if I would like a refill. I had to keep asking different different people to refill our water & sodas because the waitress didn’t come by. I ordered my Prime Rib medium well, it came out rare. I will say the food came out fast, just not want I ordered. My server, Daniel, was personable and not patronizing. Yes, you get free cornbread. I had a cherry blossom special (duck) and it was wonderful. The asparagus - well, I have had better. I loved not feeling weird since I was a lone diner. Price was not too bad. Excellent service and delicious food! Highly recommended!! Chop house never disappoints. Just a consistently great place. Thank you. Everyone said our waiter Max was most likely the finest waiter we have ever experienced and our party of four are all older then 45. Food was excellent and a fun surprise birthday cake for my wife’s birthday. Would definitely recommend The Chop House. We thoroughly enjoyed our meal at District Chophouse. 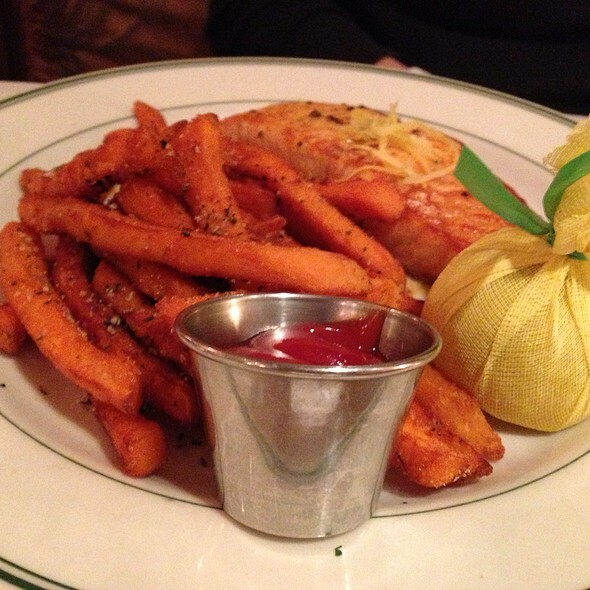 The salmon and the filet mignon were cooked to perfection. The cornbread is outstanding. Enjoyed their Cherry Blossom entries. Nice touch for the festival. Food was amazing! Fast service and great atmosphere!! Service was exceptional. Everything we ordered was well cooked and tasty. Visiting D.C for business and stubbed across this gem during my web search. Our server Vanessa as well as the rest of the staff were impeccable and genuinely concerned that our dining experience was enjoyable . The recommendation of Calamari as an appetizer was spot on and was prepared to perfection. The crab bisque came with generous amounts of crab which translated into a flavor explosion with each spoonful. The Stuffed Pork Chop was moist and tender and prepared well. The quality of both the service and food we received far outweighed what we paid for our evening of enjoyment. I will highly recommend and encourage friends, family and colleagues to experience the fantastic dining experience while that visiting the D. C.
Great food, service, and setting. A lot of people but not a noisy place. An informal place. It specializes in steaks but has a good selection of other choices. Reasonably priced for the location (around the Verizon Center in DC. Highly recommend it. Had a wonderful lunch! 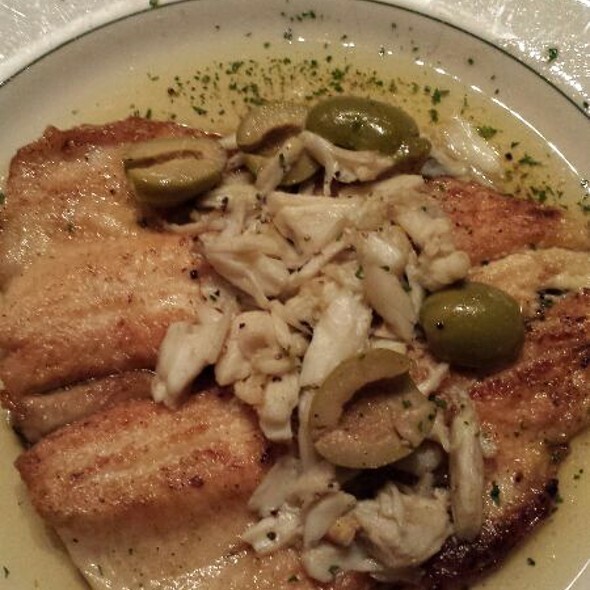 The scaloppini was excellent with great lemon flavor. Our server was also great - Skyler was personable and informed. Definitely recommend. Second time the food very good. Always a great stop when I am traveling! Sheba, our server, was so friendly and helpful and took good care of us. 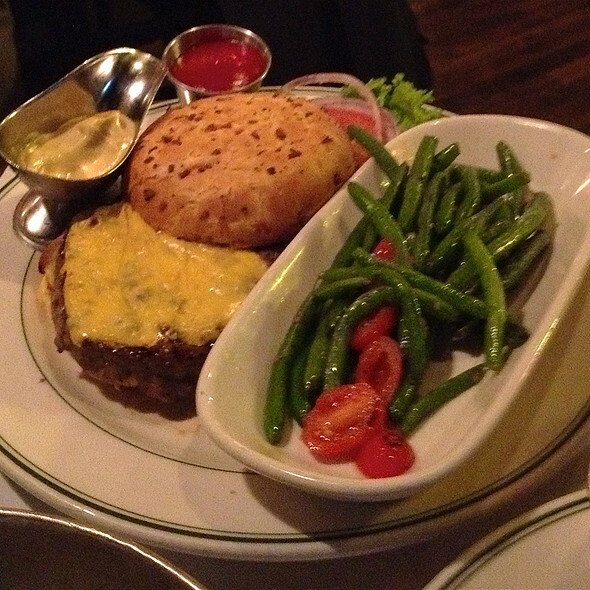 The food was delicious and came out quickly - got the filet mignon and the ribeye. Specialty cocktails for the cherry blossom festival were a knockout as well! Seriously one of the best restaurant experience of our lives. 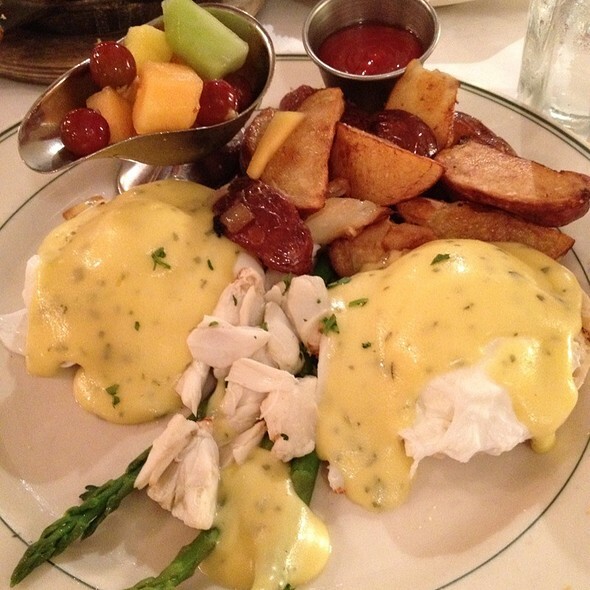 If you dont book a table when you visit DC, you will have missed out of a great dining experience. All the staff were outstanding, the food unbelievable, and the decor truly breathtaking. Thank You Chop House, this was my third visit and I will be back!! 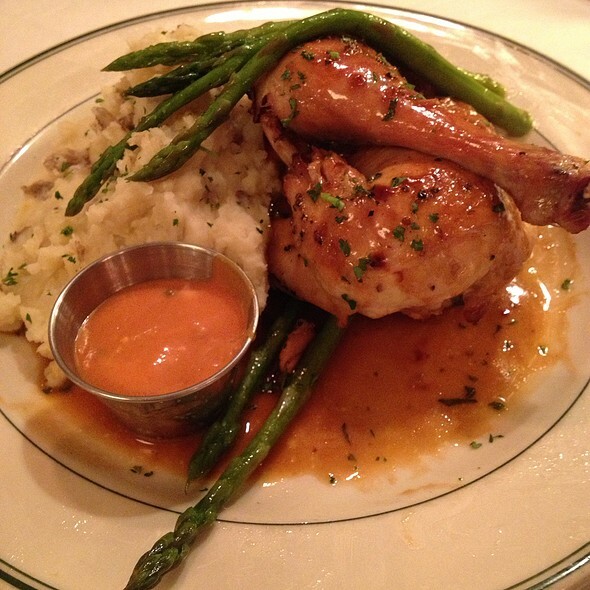 We love District Chophouse! We only get to D.C. once every 1-2 yrs but we always make sure we plan a visit for dinner here. 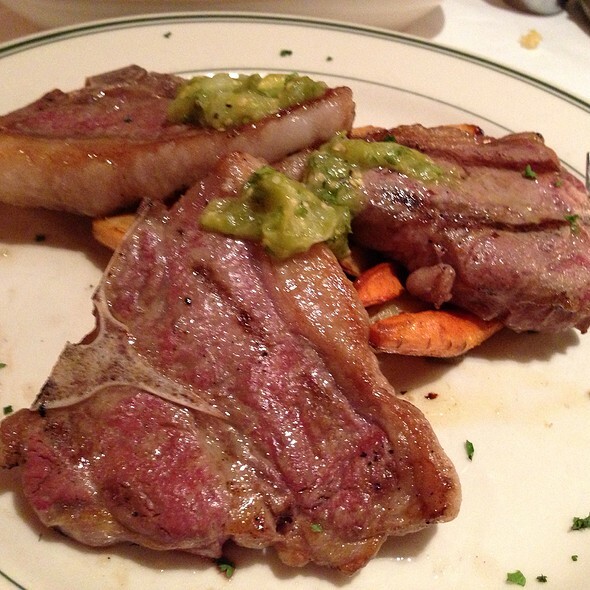 The Prime Rib is amazing and the steaks are great also, the service is wonderful and the atmosphere is great!